Getting married or conducting a wedding in the Church of England? Looking to select verses or choose alternate vows? If the answers are yes then this is the perfect booklet for you! Taken from Common Worship, ensure the service is perfect. 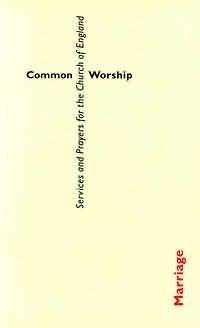 Common Worship: Marriage Booklet was published by Church House in November 2000 and is our 4304th best seller. The ISBN for Common Worship: Marriage Booklet is 9780715120385. Be the first to review Common Worship: Marriage Booklet! Got a question? No problem! Just click here to ask us about Common Worship: Marriage Booklet.